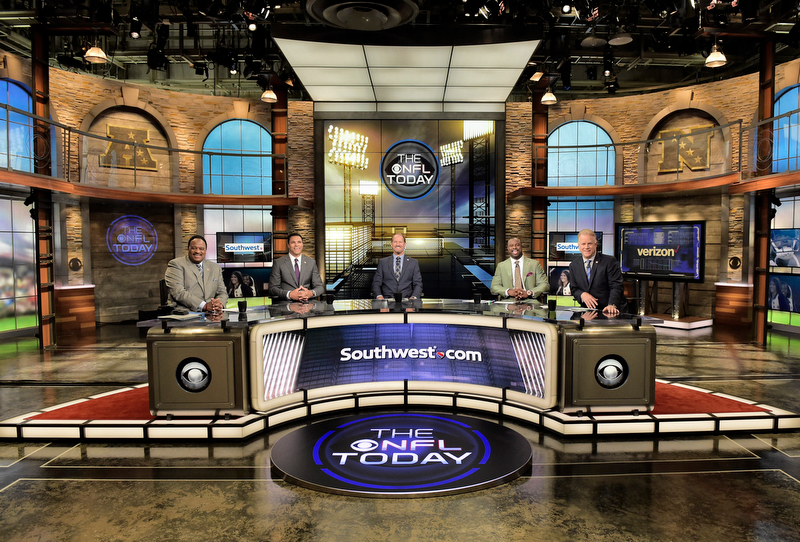 Originating from the CBS Broadcast Center in New York, the set is located in Studio 43, which has housed the network’s NFL coverage for nearly 15 years. 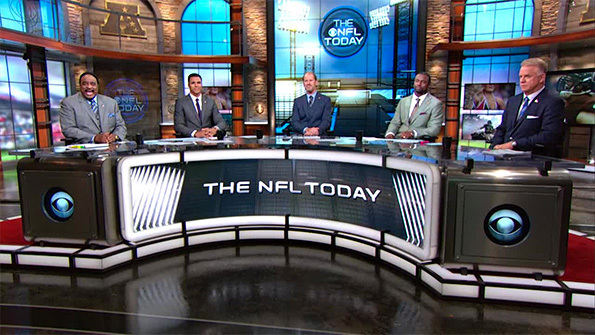 The previous design, which debuted in 2006 and saw multiple small updates, had become “tight and claustrophobic” on air, not allowing producers the freedom needed to meet the changing expectations of viewers. CBS Sports laid out a series of goals for the revamp that would help enhance the broadcasts storytelling ability for the new season. 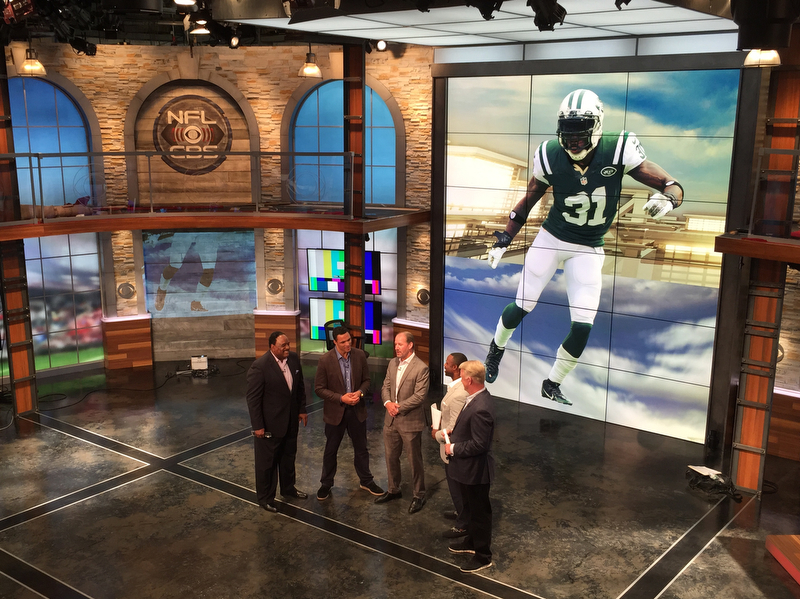 These goals included making the set feel large and open, incorporating New York better and creating multiple areas for talent to utilize during broadcasts. Jack Morton PDG was chosen for the project after a pitch process, with Andre Durette leading the broadcast design. While the previous set had a sleek and glossy feel, the new set captures the industrial spirit, echoing a “prewar SoHo” loft with exposed brick, stonework and warm wood tones. “This is a big and different departure from the previous look. The materials help tie in with the more raw and organic feel of football,” said Durette. Due to budget constraints, Durette had to work within the original architecture of the existing set, incorporating the new design motifs and technology requirements. “That was a challenge in this project, making the same space we’ve always used feel big,” said Bryant. To give the studio that “wow moment,” a large video wall was created in the center of the studio, extending from floor to ceiling. The sets interview area was also updated with a new platform, table and chairs. 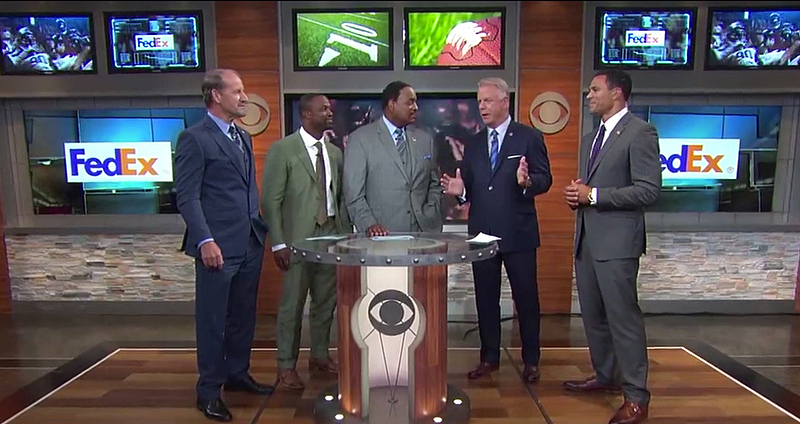 Since the studio is used for multiple shows across college and professional football, flexibility was key. The monitors located around the set are all moveable, allowing them to track for various broadcasts. The desk is also changeable with side wings that can be removed based on the talent setup of the particular show. This flexibility also extended to the show itself. “Studio shows over the year have begun to drag,” said Bryant. 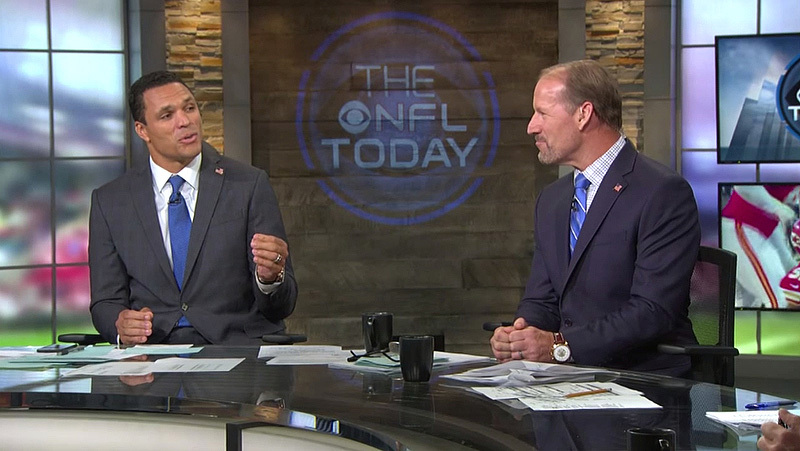 With this in mind, “The NFL Today” has changed its blocking this year, with the show utilizing more areas of the set with more in-show movement.